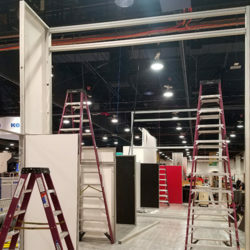 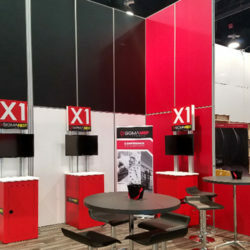 A custom fabricated rental exhibit that uses both aluminum extrusion and our rental wall system for easy set-up. 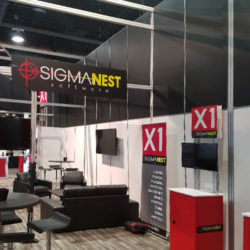 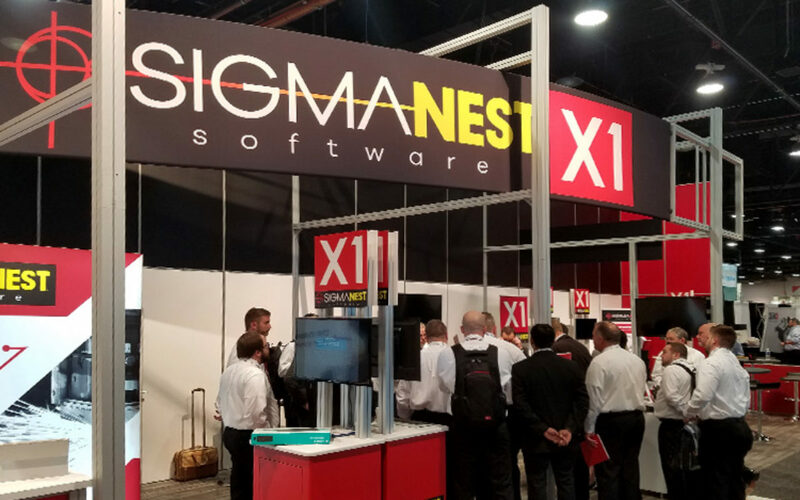 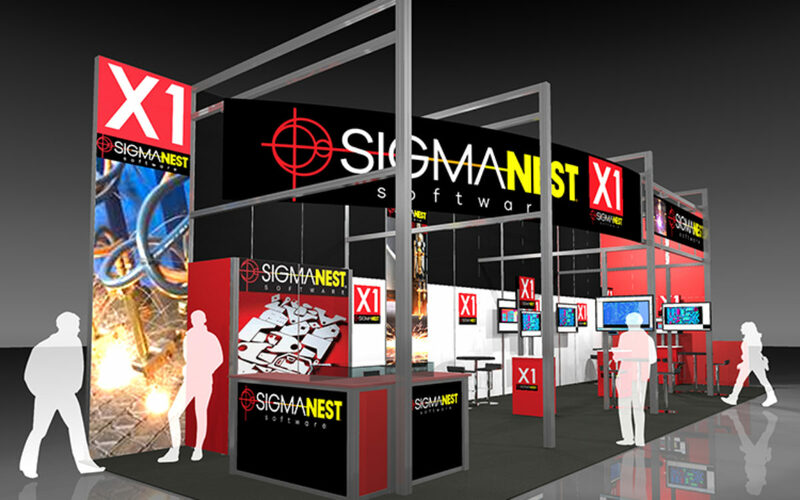 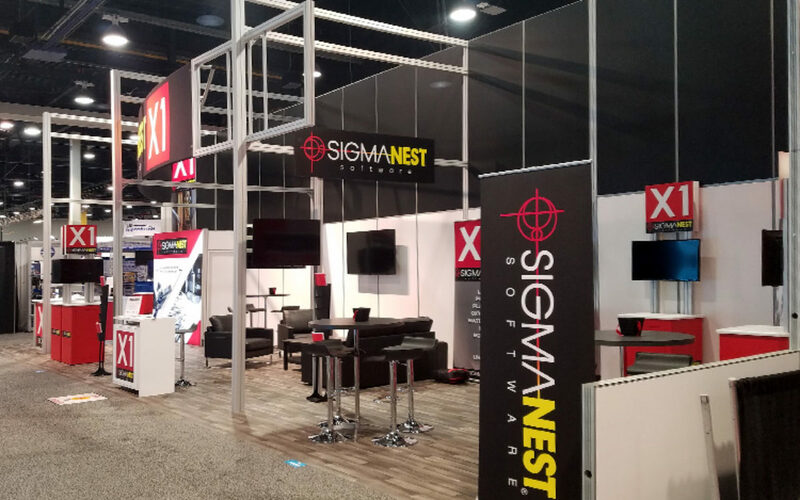 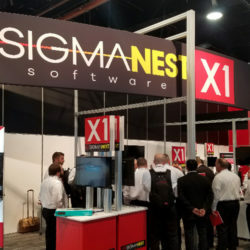 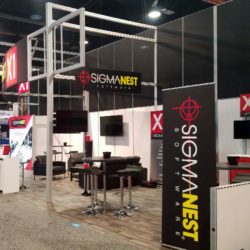 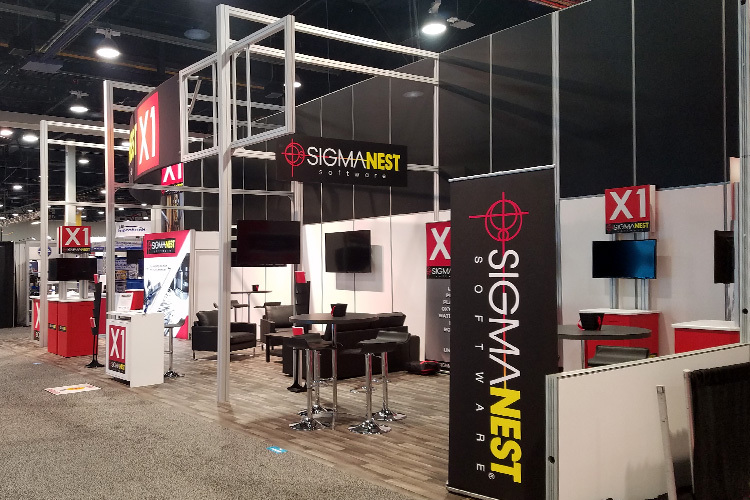 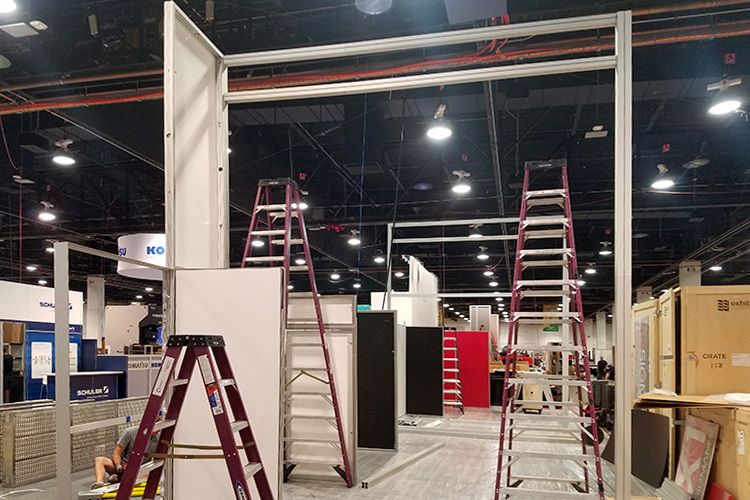 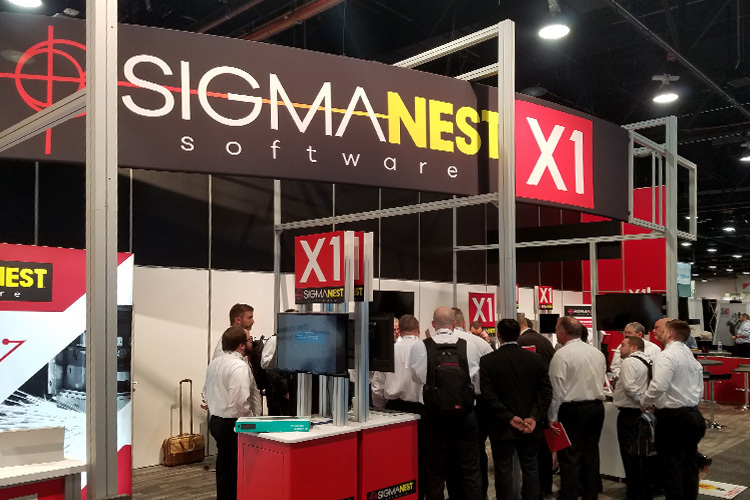 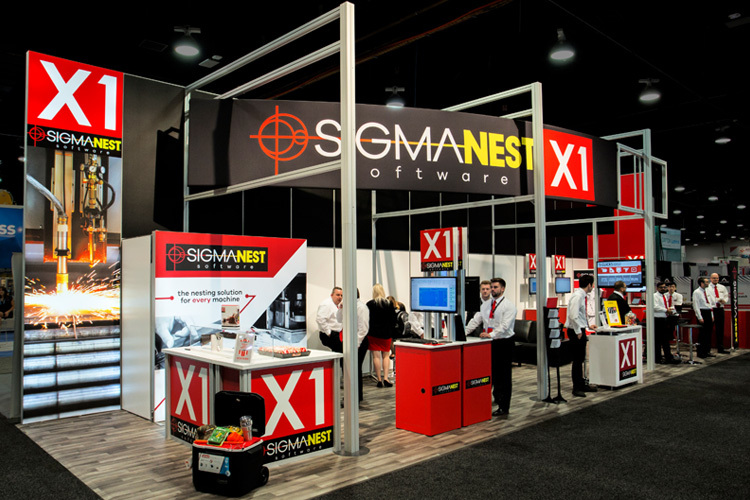 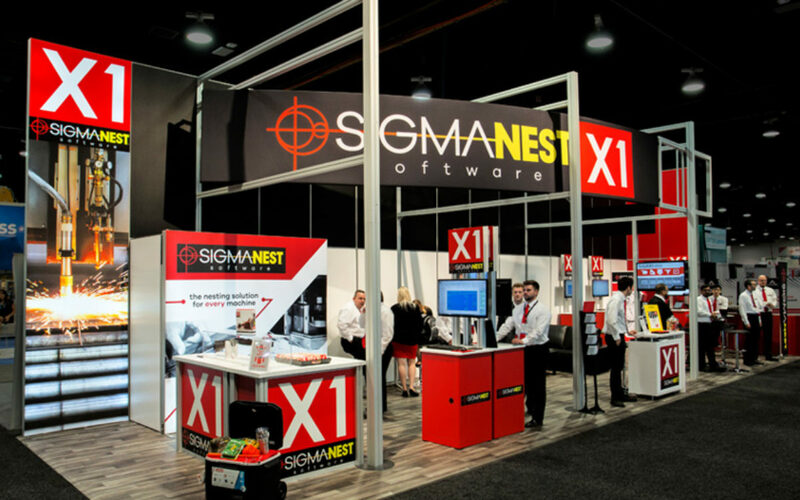 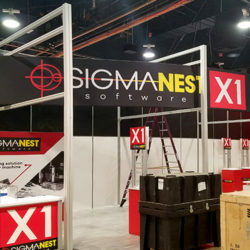 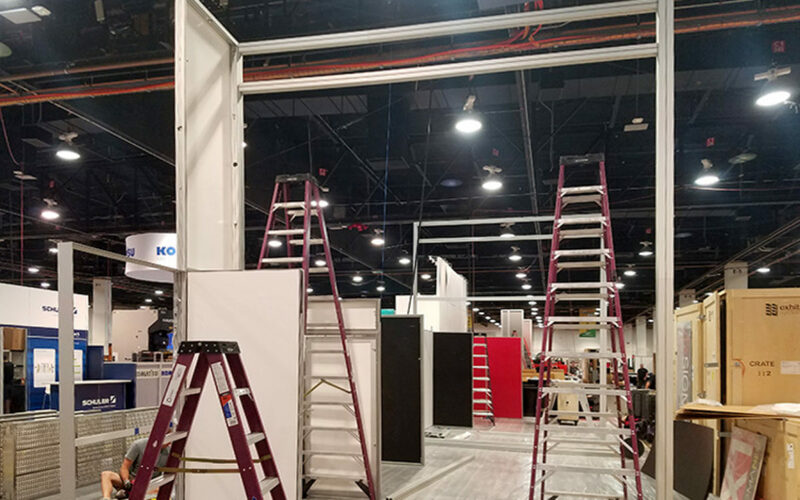 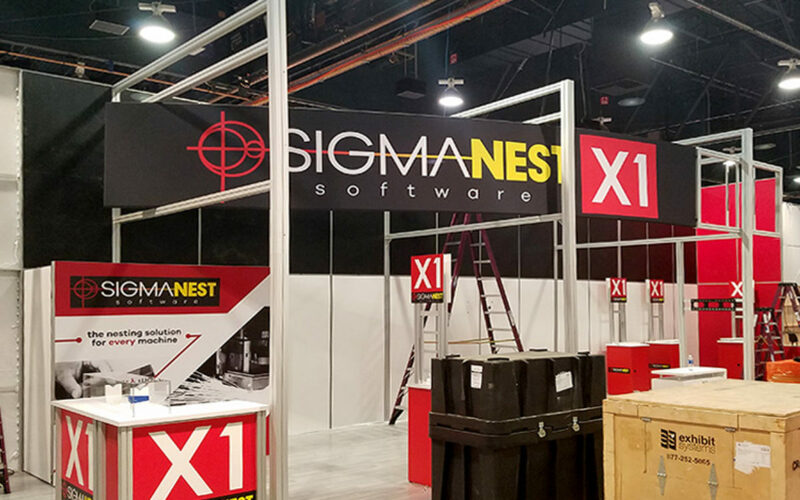 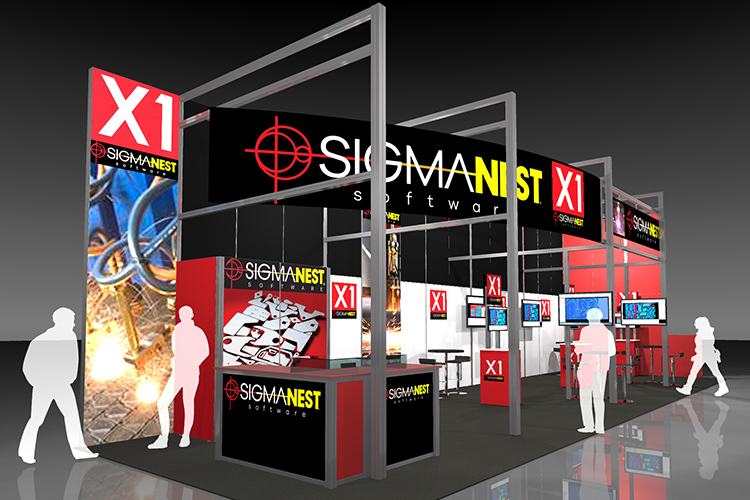 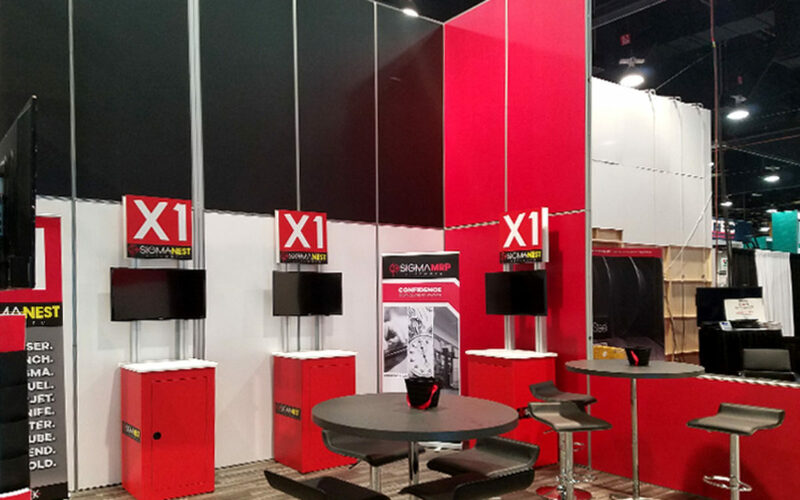 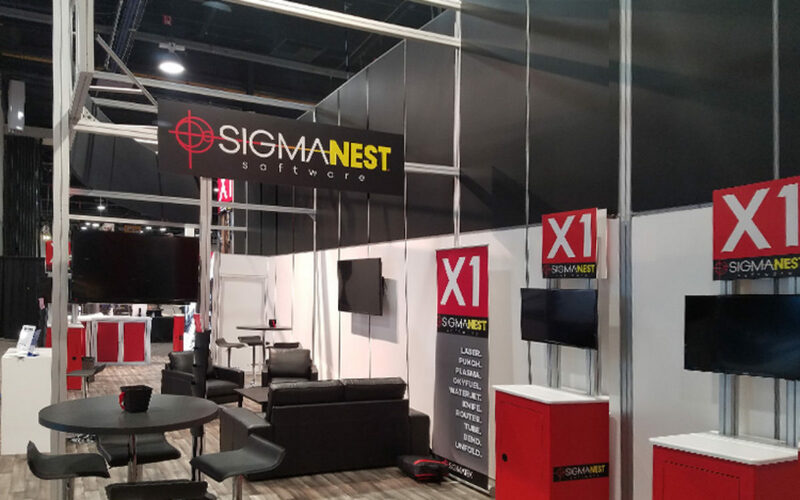 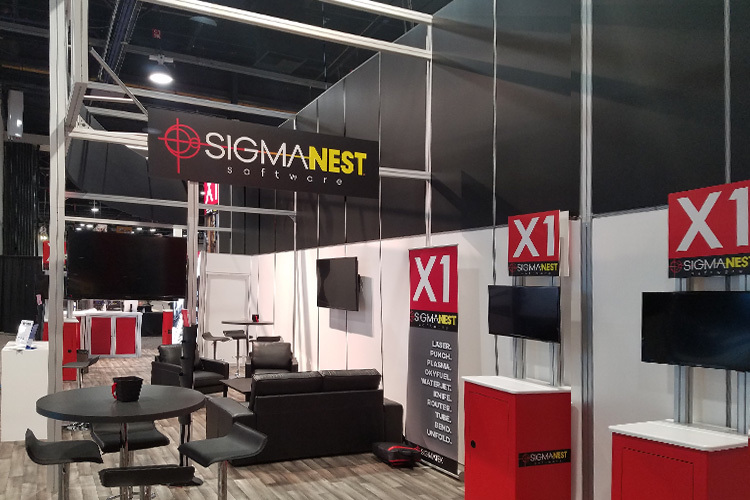 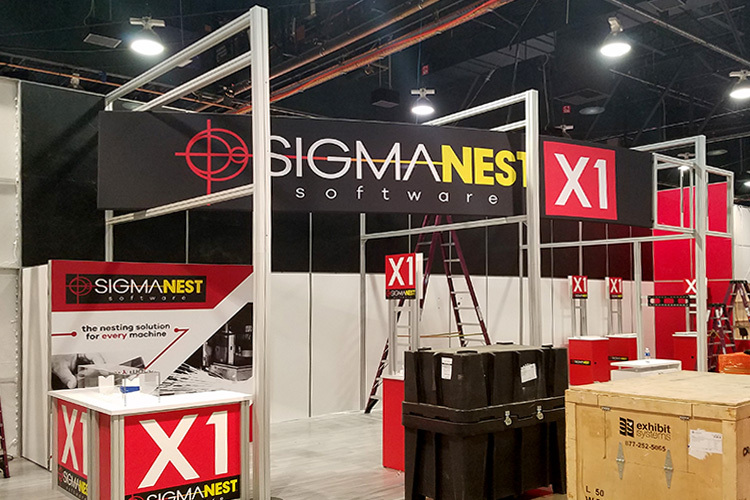 This 15’ x 50’ exhibit for SigmaTEK at the Fabtech show in Las Vegas was custom designed with a great deal of collaboration with the client. 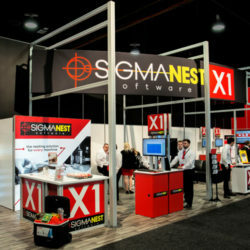 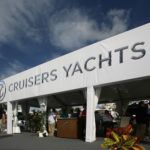 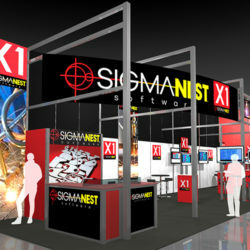 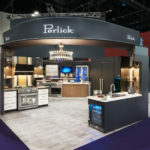 They wanted the ability to greet customers and take them step by step through their booth and product. We also built eight custom monitor kiosks giving them the ability to showcase their software in a systematic manner while still having an open concept booth.